dedicated to improving the care of trauma victims across the state of South Carolina. 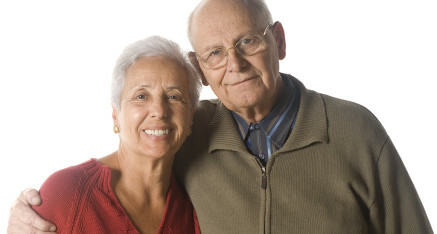 TASC has identified through the South Carolina Trauma Registry that falls are the leading cause of injury and death among the older adult population. For all patients admitted to trauma centers, 2 out of 10 were fall related injuries to patients ages 60 years and over. 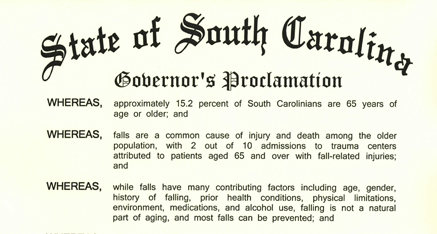 Governor Nikki Haley has proclaimed September 23 as Falls Prevention Awareness Day in South Carolina. The proclamation recognizes “falls as a common cause of death among the older population, with two out of 10 admissions to trauma centers attributed to patients aged 65 and over with fall-related injuries. Copyright © 2016 Trauma Association of South Carolina. All rights reserved.